Kattakayam home stay is 2. 5 km away from Alappuzha centre (Boat jettyThis home stay is just near the Nehru Trophy Boat race starting point, Back water is only 50Mts away from this place. 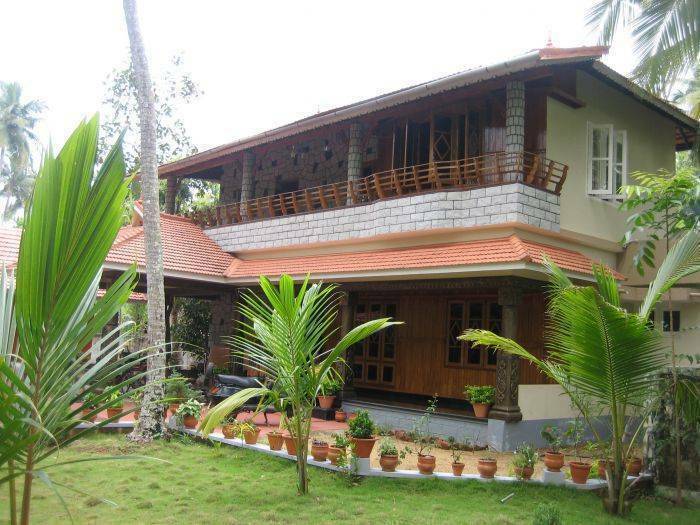 This home is on the left side of the road to punnamada starting point. It is a double storied building with a beautiful balcony, sitting there every one can enjoy the nature. Home provides A/C and Non A/C bedrooms. It is a newly built house with marble inside. It provides homely food or provide kitchen facility at an affordable rate. visitors feel homely we have two cottages also. It is a peace full place with back water 50 Mts away. Morning walk for lake side footpath and paddy fields. Restaurant serving Kerala, North Indian veg. and non-veg. Rooms and family suite has private entry, cable TV, broadband internet access point to plug in your laptop along with en-suite bath rooms having toilet, shower, wash basin, running cold and hot water. Family suite (non A/c) has one room and can accommodate 4 adults. Or it is prefect for mom, dad and kids. The master bed room has a queen size bed and kids bed room has twin beds. Our guests share the common facilities like, self-catering kitchen and homely food also providing. with fridge, utensils and iron. A balcony to retire and a small garden to retreat under a swaying mango tree. ayurvedic massage clinics and tour packages.